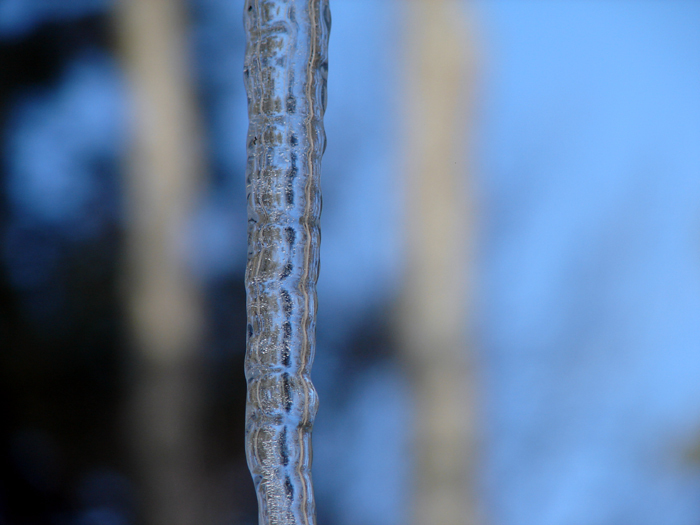 An icicle stands out against a backdrop of tree trunks. 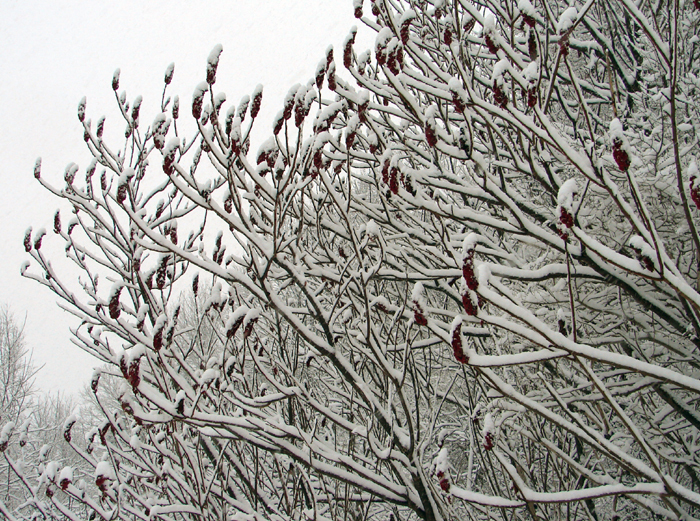 Right after a snowfall, a grove of sumac at Medway Creek creates interesting lines against the grey sky. 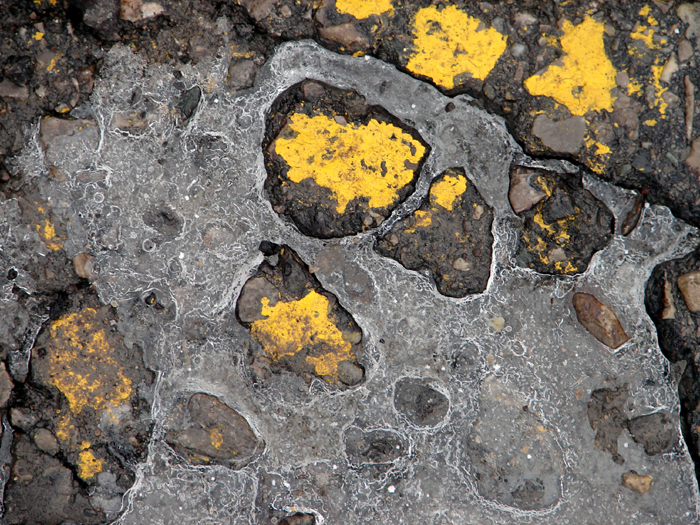 Ice and yellow paint add interest to the parking lot. A view of my snowy garden. 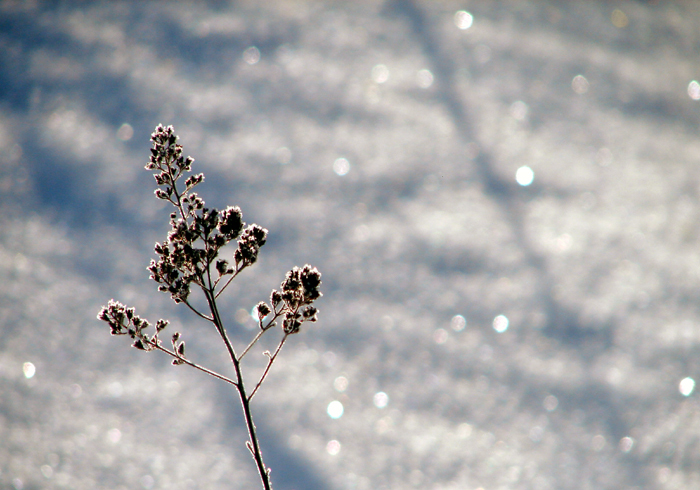 The colourful wild flowers in this meadow are sleeping under the snow and waiting for spring, more patiently than I. Perhaps a trip into the archives of summer flower images would be a solution! 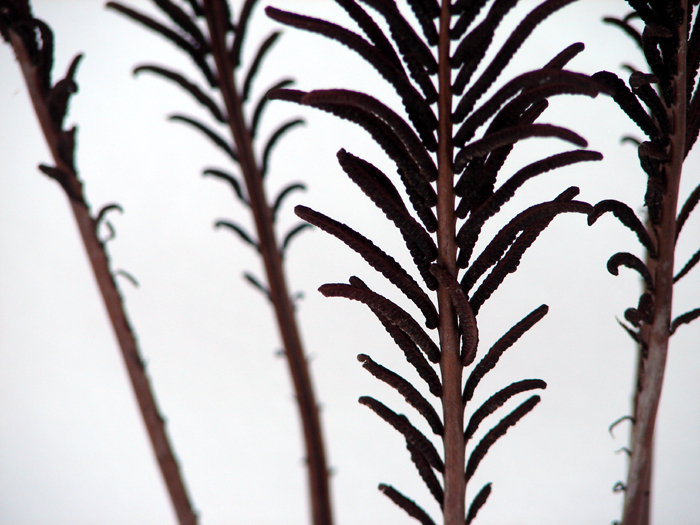 The ostrich fern's fertile fronds from last season provide winter interest in the garden. 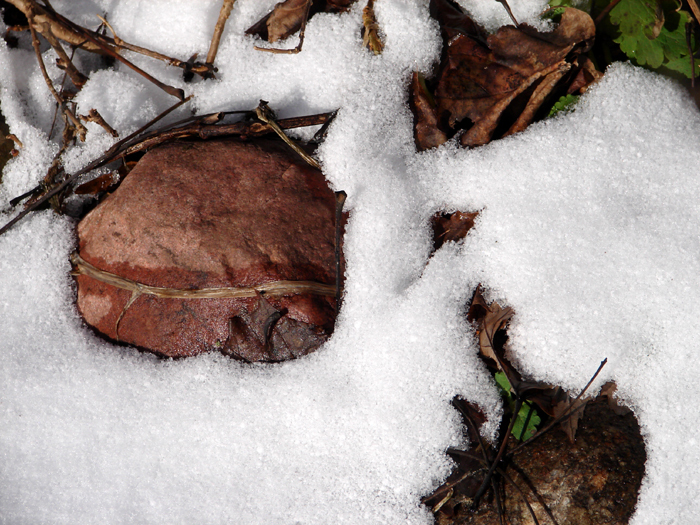 For some reason my cat loves to chew on these, that is when he dares to go out in the snow. 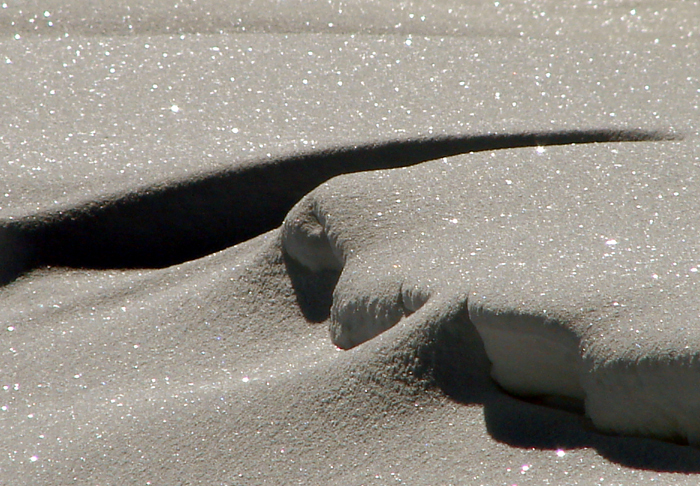 Wind creates an unusual snow drift which sparkles in the mid-day sun.